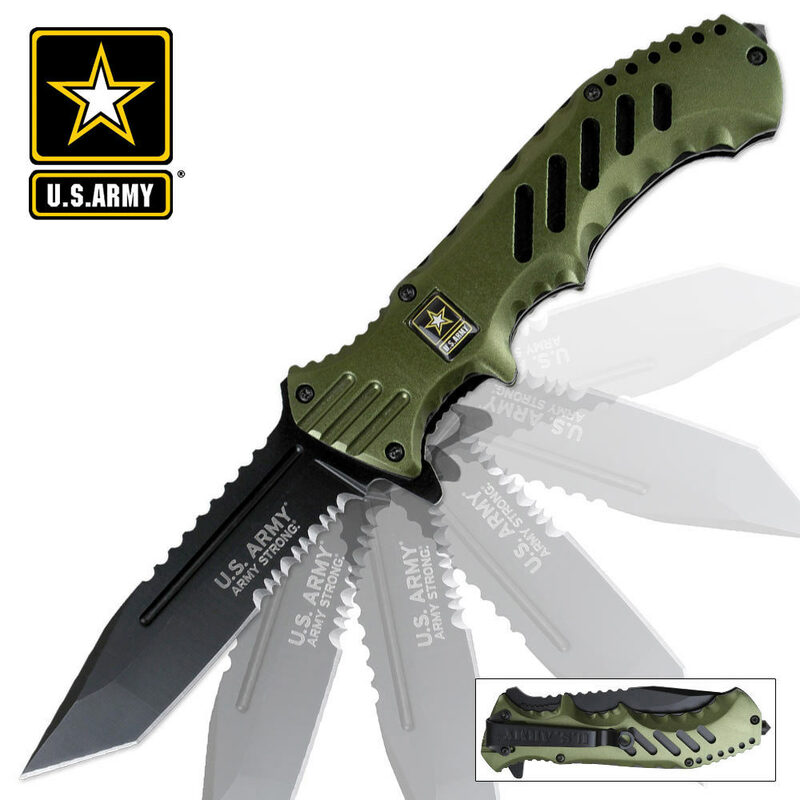 Officially Licensed U.S. Army Cavalry Assisted Opening Folding Pocket Knife Green | BUDK.com - Knives & Swords At The Lowest Prices! 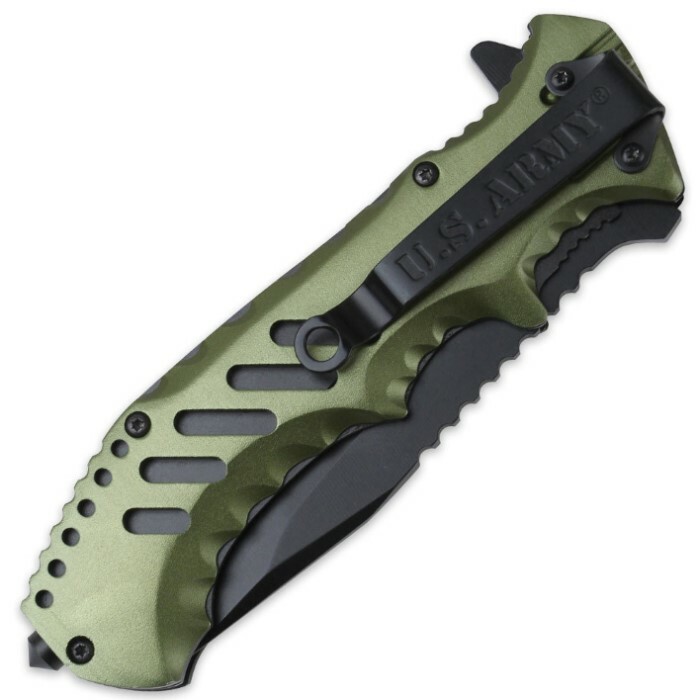 This officially licensed Cavalry folding pocket knife is Army-strong, with a fast assisted-opening mechanism and a razor-sharp 440 stainless steel blade with an anodized black finish. The partially serrated modified tanto point blade will make fast work of your chores, and the contoured aluminum handle features finger notches for a superb grip. The Calvary's handle is completed by a glass breaker spike and pocket clip.